3. Select Course and Advisor Groups. 4. 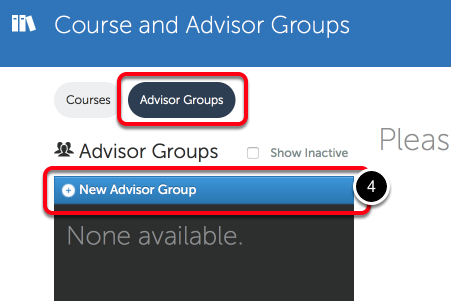 Click on the New Advisor Group button. 5. Enter a Name for the Advisor Group. 6. Select whether or not the group will be Inactive. 7. 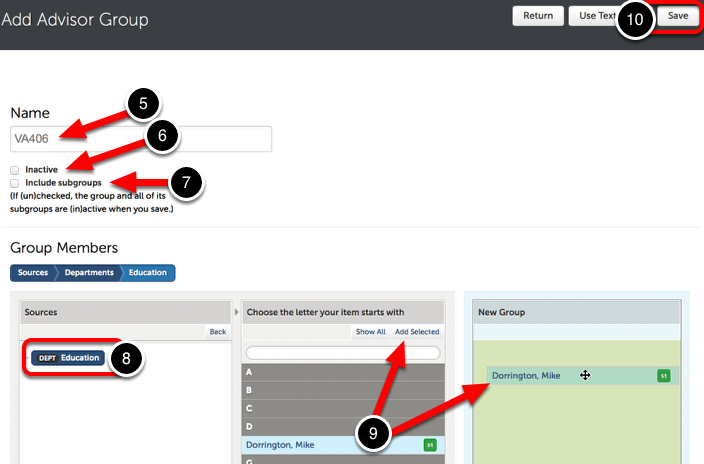 Select whether or not to Include Subgroups. 8. 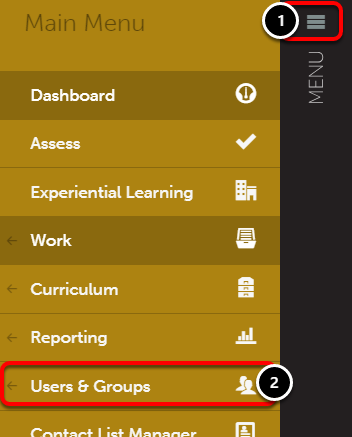 Using the Sources column, locate the department containing the user(s) that you would like to add to the Advisor Group. 9. 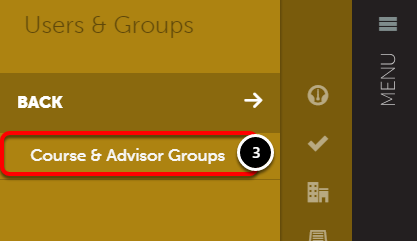 Using the Members column, locate the user(s) that you would like to add to the Advisor Group. Use the Add All/Selected link or drag-and-drop the user(s) into the appropriate third column.